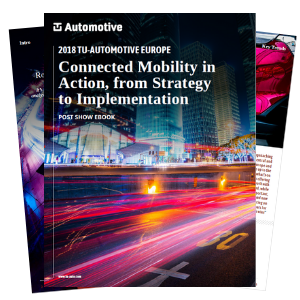 Read this ebook to learn more on the following key takeaways from TU-Automotive Europe 2018, and prepare yourself for the same level of insight from our experienced speakers at TU-Automotive Europe 2019. If you find this ebook interesting, register your interest for TU-Automotive Europe 2019 where we'll be covering these topics and sho much more in-depth. Salutation * - None - Mr. Ms. Mrs. Dr. Prof.